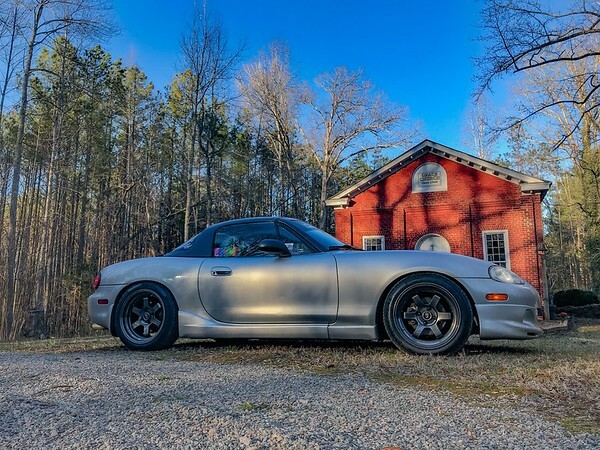 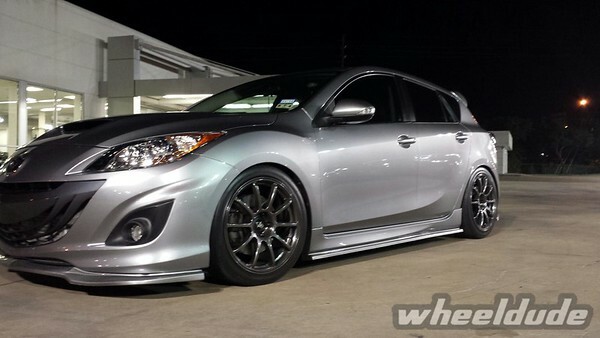 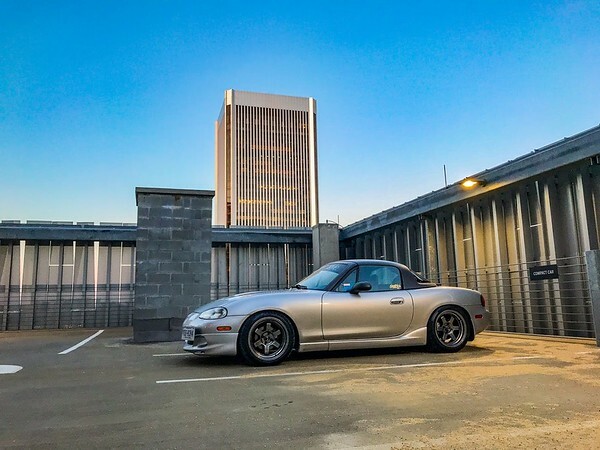 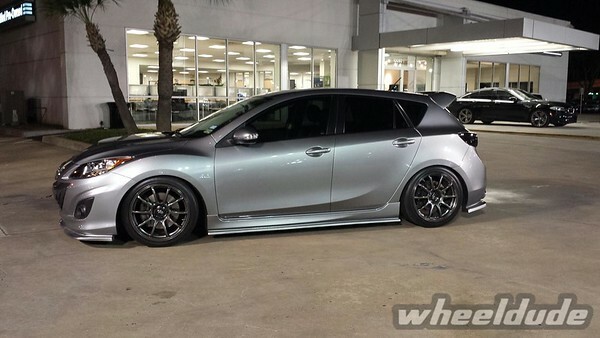 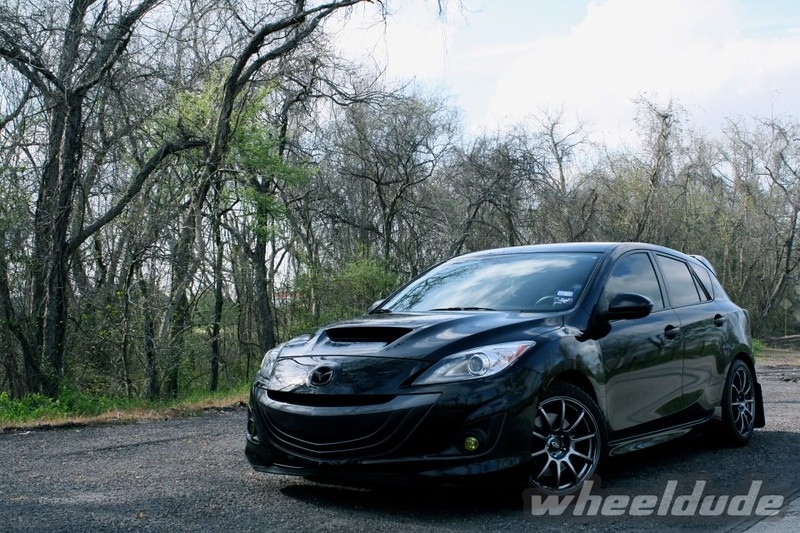 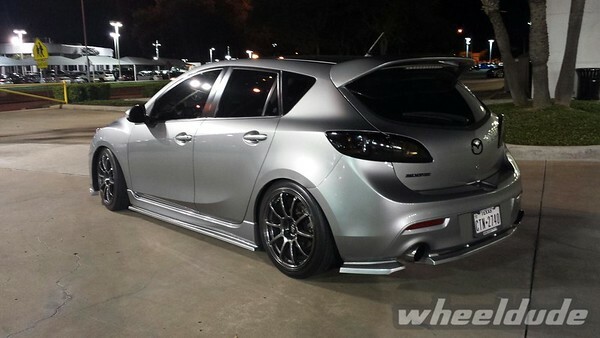 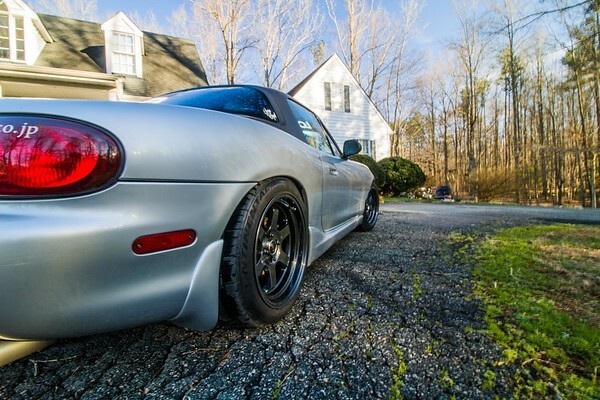 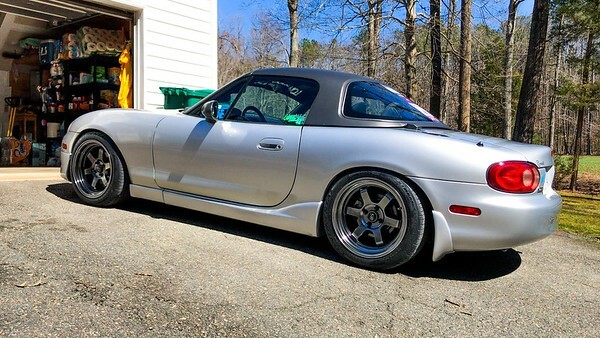 It’s been a while since we last featured a Mazda on our website. 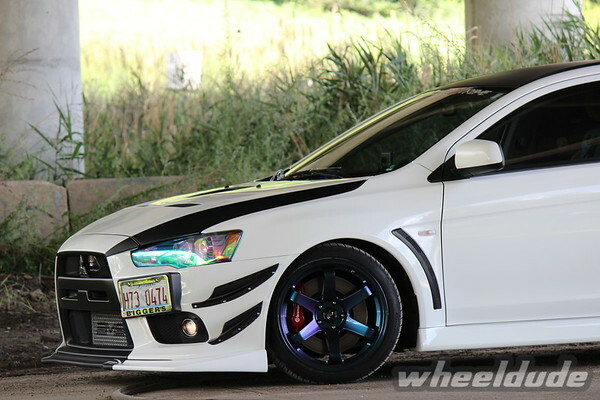 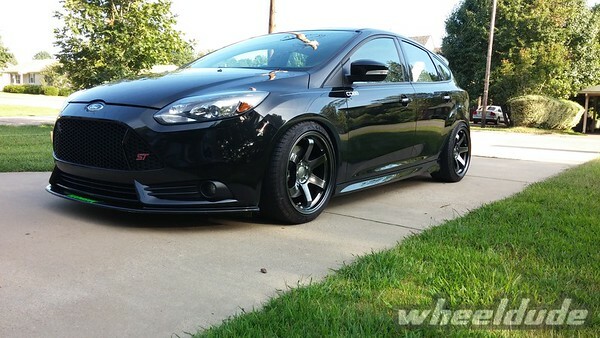 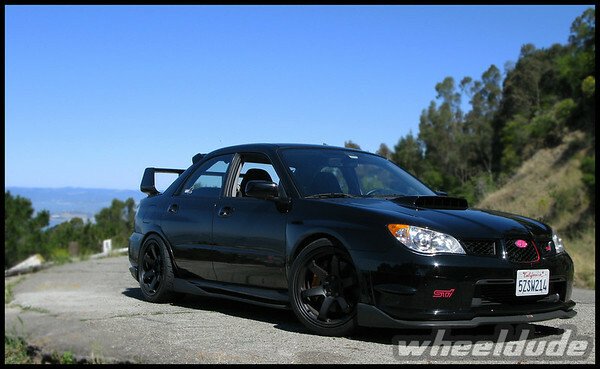 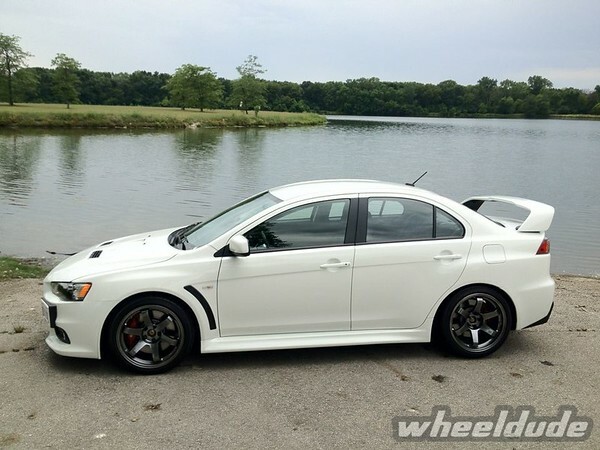 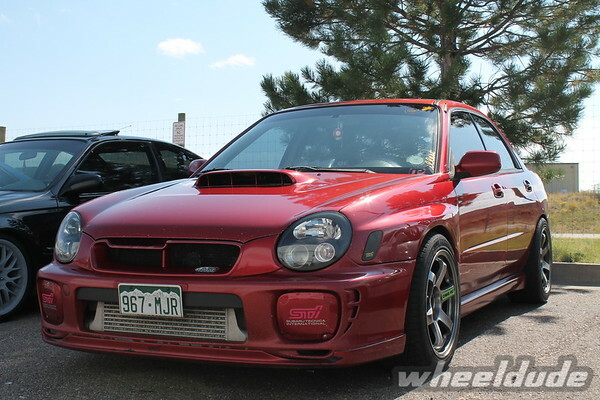 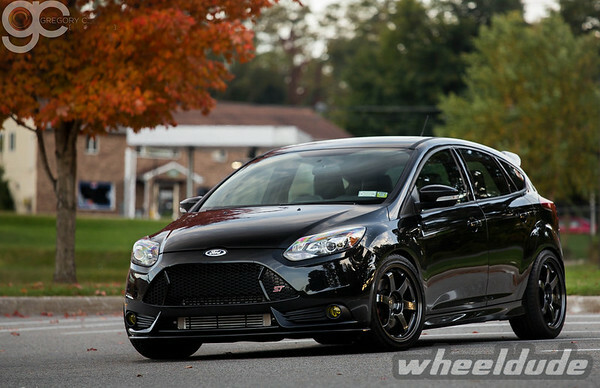 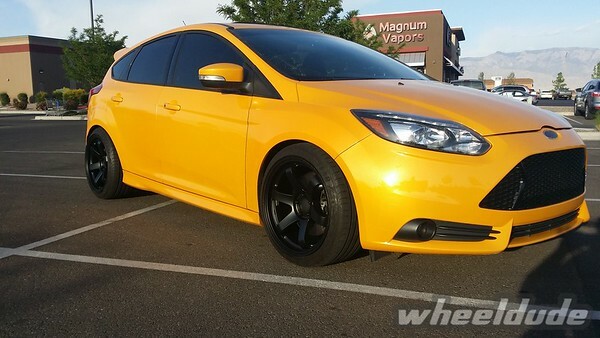 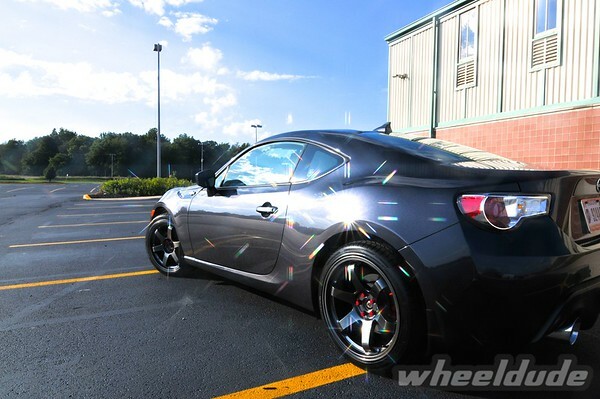 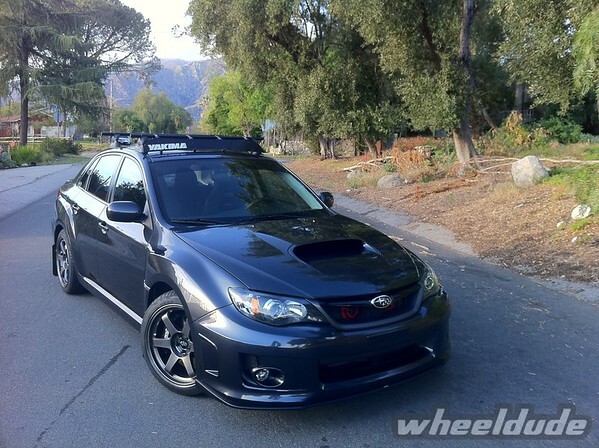 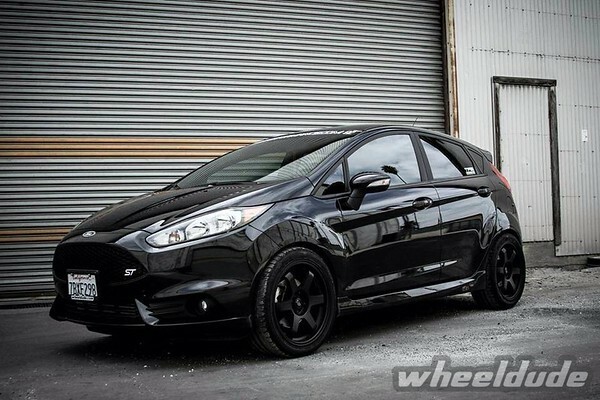 Robert’s whip is rocking the Rota G-Force in Hyper Black. 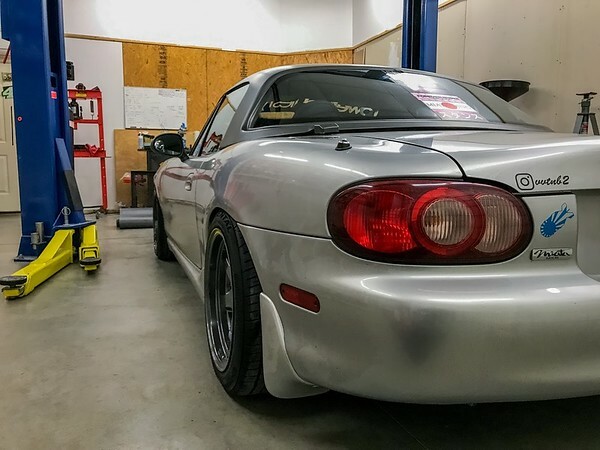 Calvin came by earlier this week to put on his new 19×9.5/11 Linea Corse LC818 paired up with Hankook Ventus V12s in 245/35/19 Front and 275/35/19 Rear. 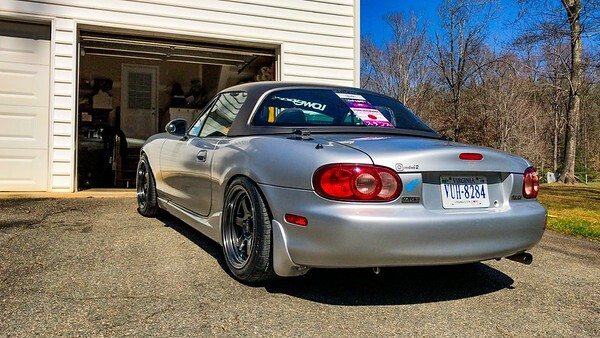 The car looks good just needs a little more of a drop in the rear and then we can say it’s perfect. 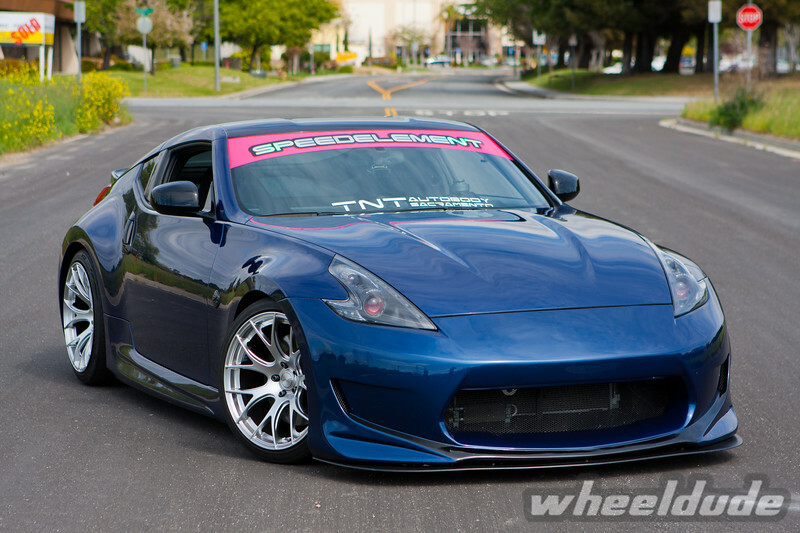 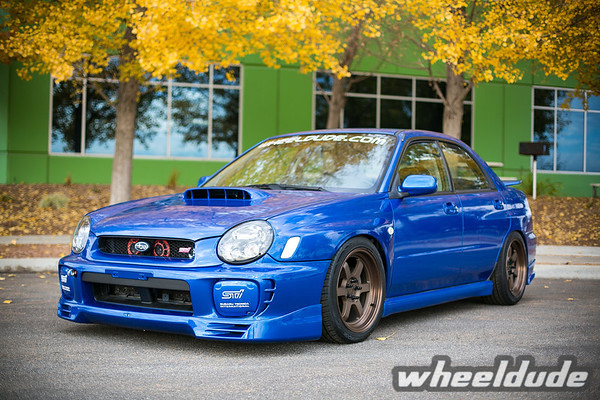 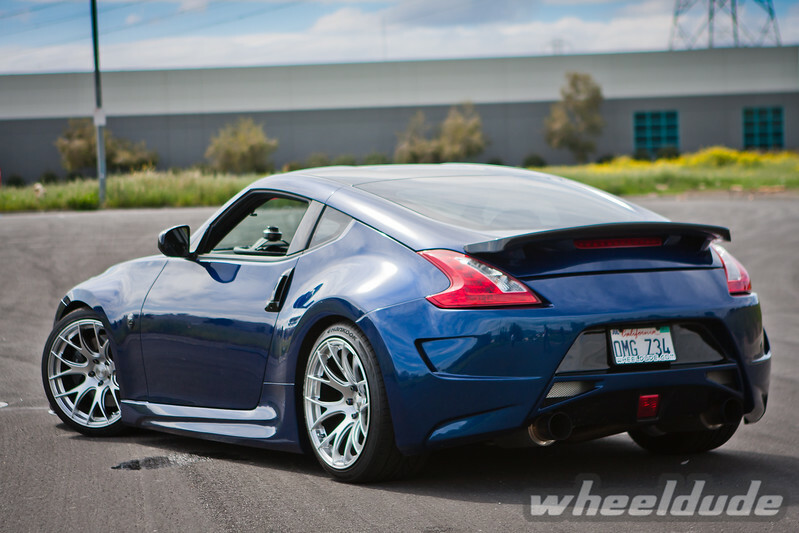 Calvin’s car has custom blue pearl paint along with a genuine Powerhouse Amuse Vestito body kit. 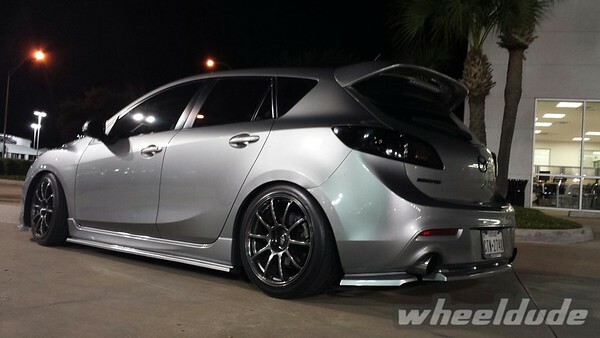 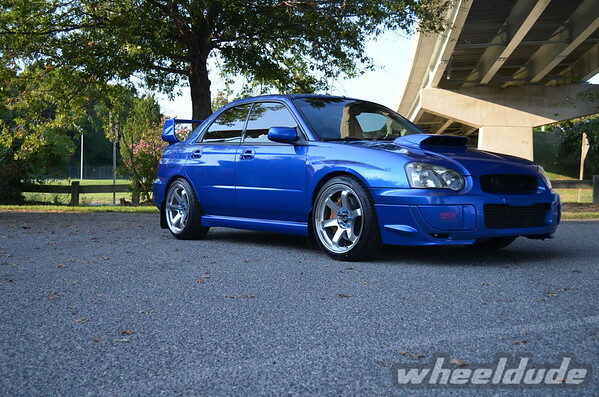 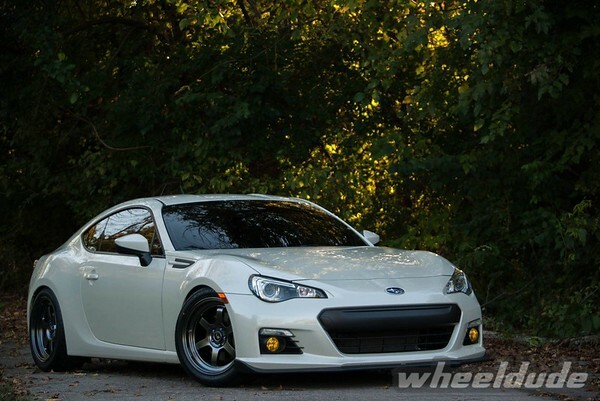 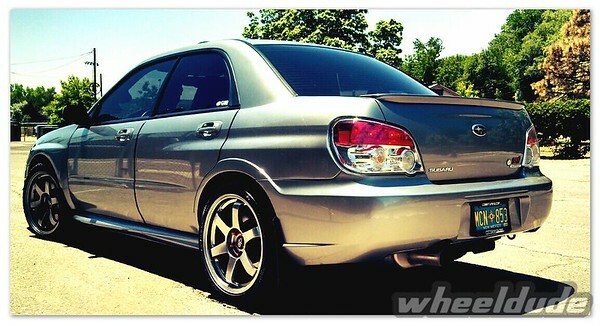 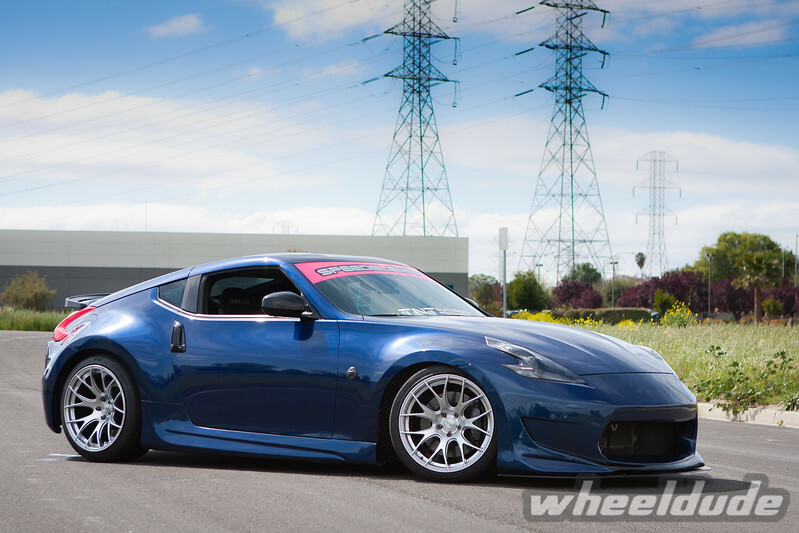 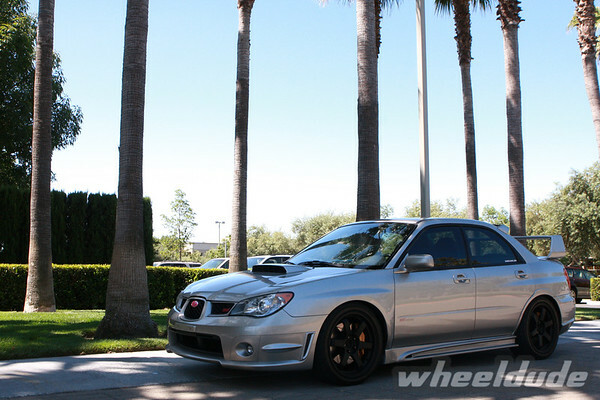 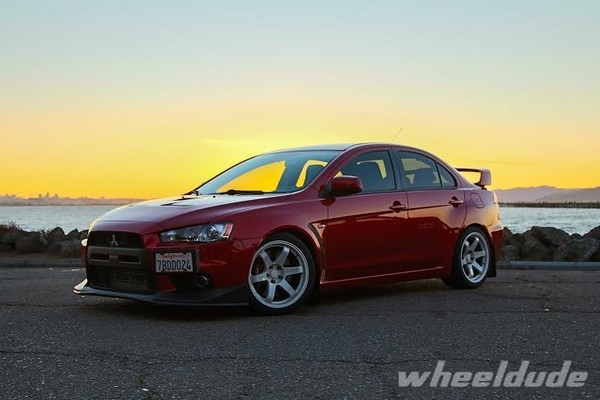 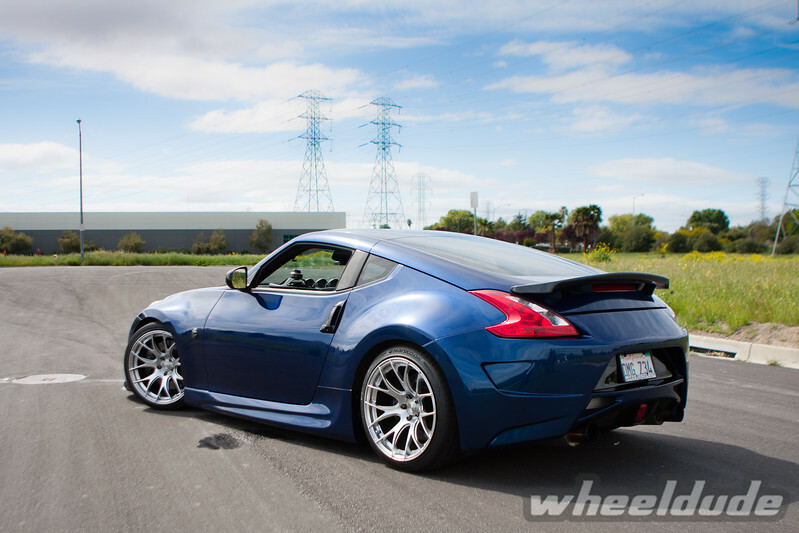 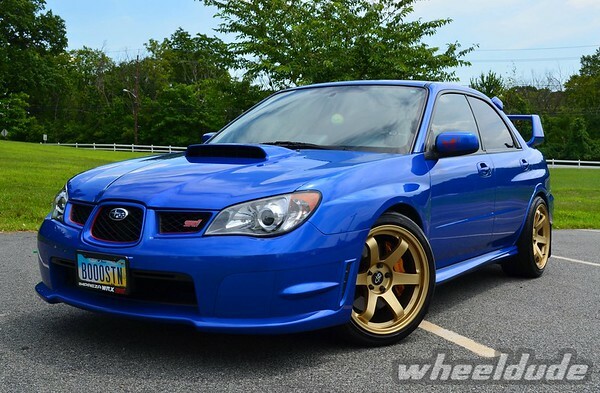 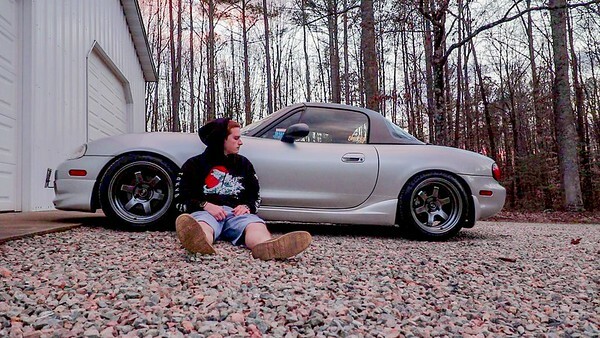 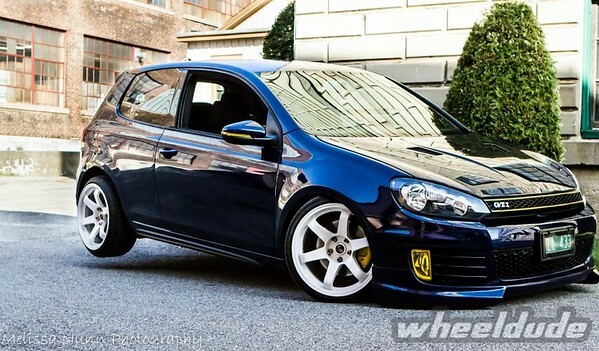 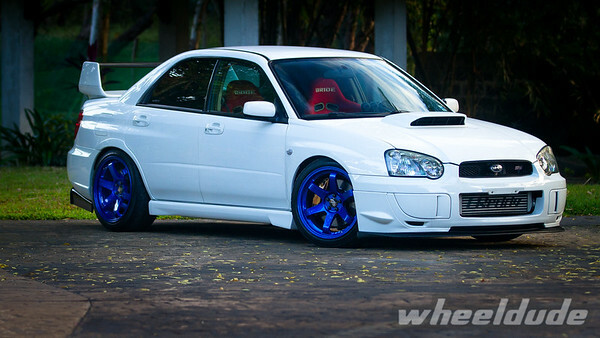 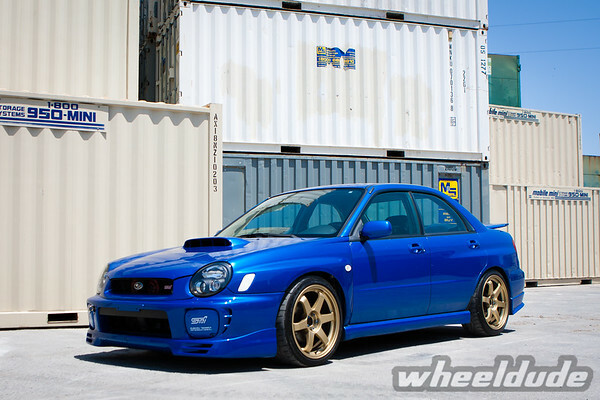 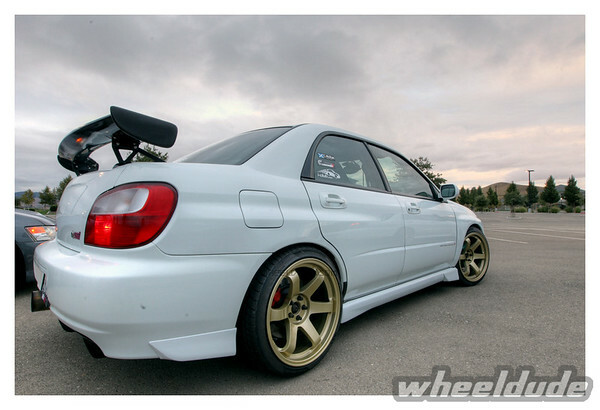 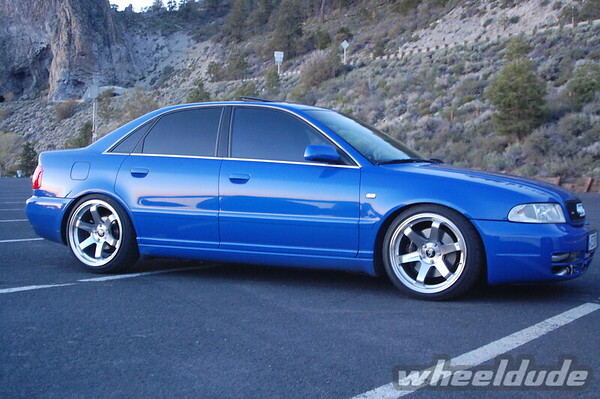 When it comes to suspension, he chose to go with Stance GR+ Coilovers “True Style”, Hotchkis Swaybars, SPC Camber Arms. 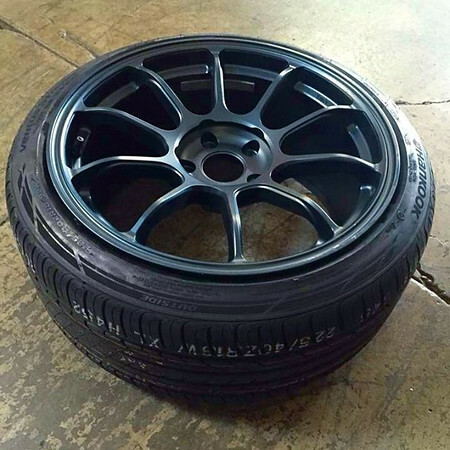 Jean originally ordered the LC818’s for his IS350. 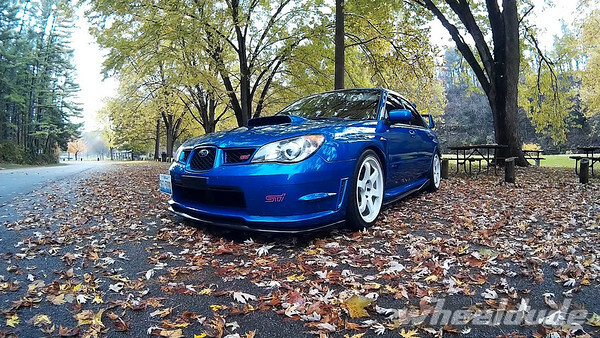 He said that his wife abused them on their bad roads up in Montreal, Canada and the wheels always stayed strong and balanced. 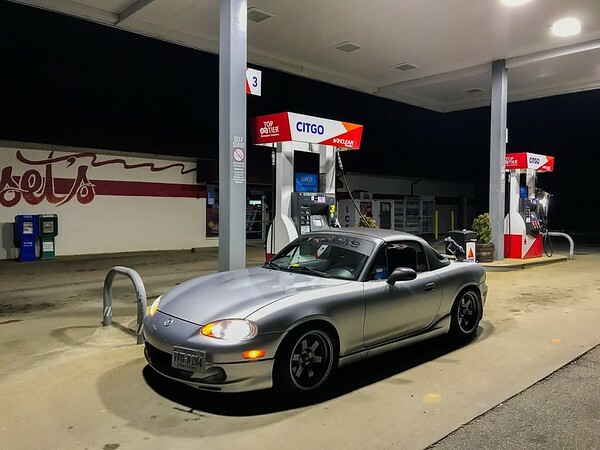 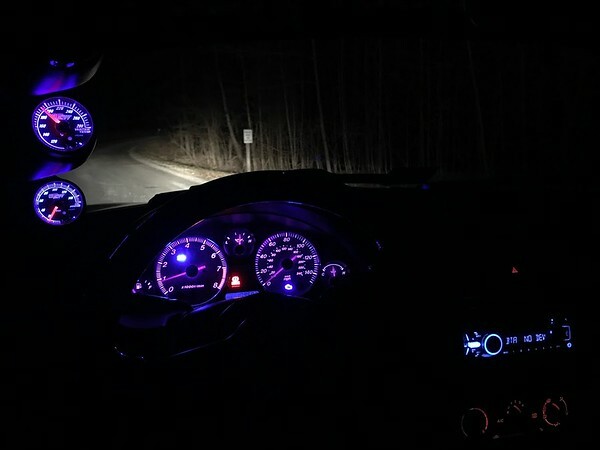 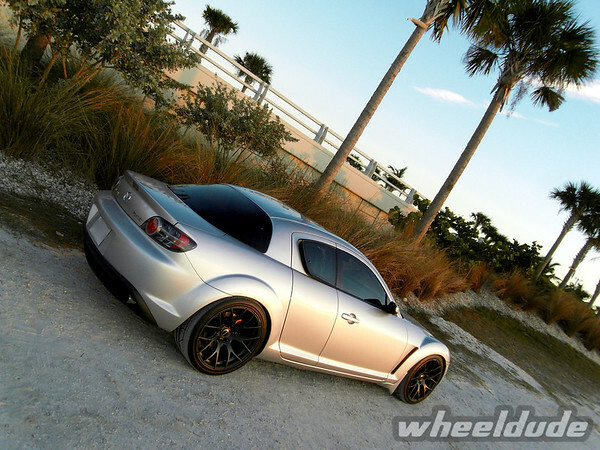 Jean thought that it would look good on his RX8 and the rest was history. 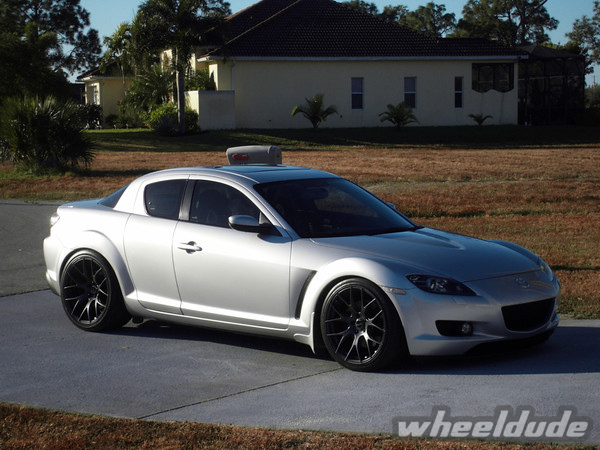 Jean also added that the RX8 could fit 19×10’s up front with 275/30/19’s without the need for fender mods. 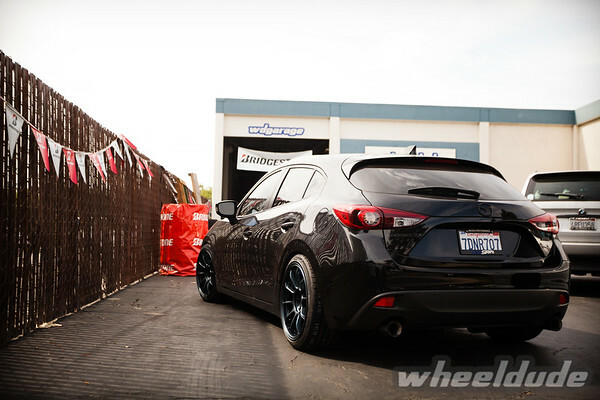 These Mazdas fit the 18×9.5 +38 very well! 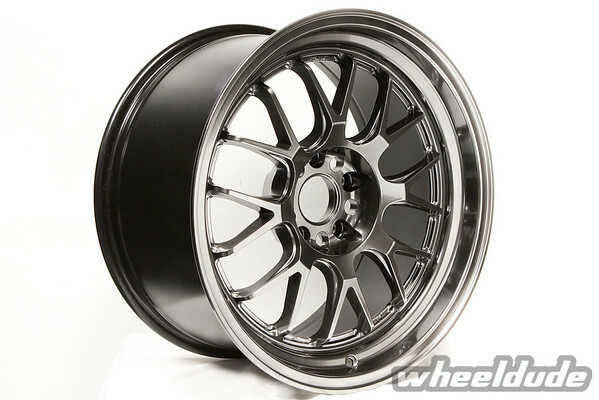 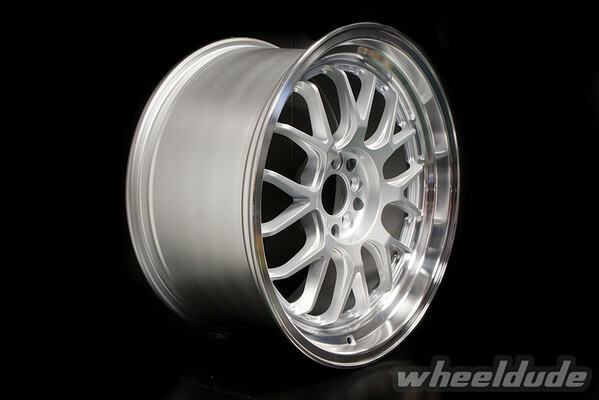 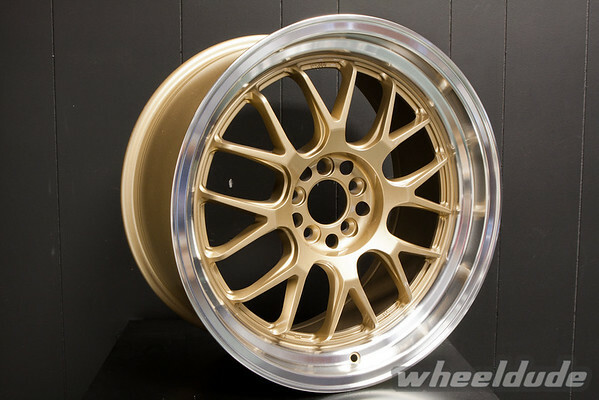 These wheels are in stock, currently we have one set left in our warehouse. 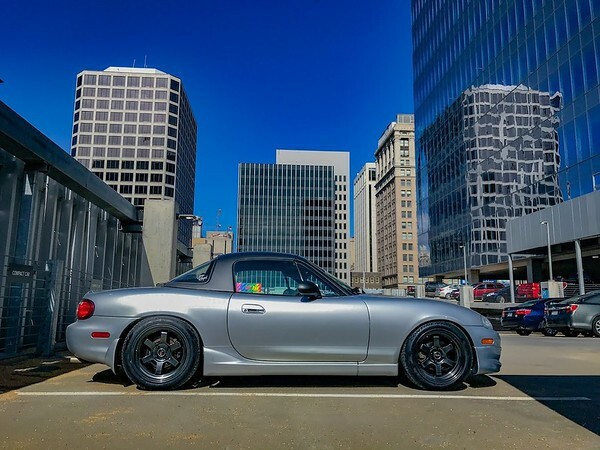 Buy now before you have to wait for the next container!